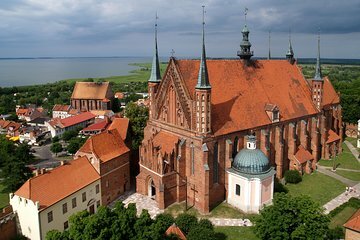 Take a private day trip from Gdansk to Frombork, a Polish city on the Vistula Lagoon known for being the home of astronomer Copernicus in the 16th century. With a knowledgeable private guide, see some of the city’s top sights, such as Cathedral Hill or the Copernicus Museum. As a science geek, I loved seeing all the Copernicus material. Also the organ concert was wonderful. Our guide was so lovely and informative.